Starting in the last quarter of the 17th century until the end of the Seven Years War, the Mi’kmaq successfully defended their land, families and way of life through seven colonial wars against the British. These efforts kept British settlers from migrating into Mi’ma’ki. From the Kennebec region of Maine to the economic activities and settlements in Newfoundland, they were a power to be reckoned with. When British settlers finally migrated into Mi’ma’ki in 1749, the Mi’kmaq contained them in fortified enclaves until peace was established in 1761. Devoted to Duty or Political Opportunist? Touted as one of the most progressive Premiers in Nova Scotia (1930-1933), Col Gordon S. Harrington dedicated his life (and health) to Nova Scotians, particularly coal miners and their families and to Canada as the Deputy Minister of Canadian Forces Overseas in the latter part of the First World War. His life was one of great achievements and profound tragedy. A broad analysis of historical immigration patterns into Atlantic Canada, this paper sets this immigration within an indigenous context and distinguishes between Newfoundland and the Maritime Region. The twin processes of Indigenous dispossession and settler colonization are considered as contexts for Atlantic Canada’s role and responsibilities in a world increasingly shaped both by the need to recognize the rights of Indigenous peoples and by the forces of global migration. In this keynote address, delivered at the 2016 Atlantic Immigration conference, the author argues for the importance of thinking about immigration within the context of colonial, imperial and Indigenous relationships that existed during the 18th Century. By examining the ways that colonial and imperial sovereignties interacted, this clearly demarcates the beginning of systems of thought that developed and expanded within colonial governments over the course of the 19th and 20th centuries, shaping both policies towards the Immigrant and the Indigenous Peoples. 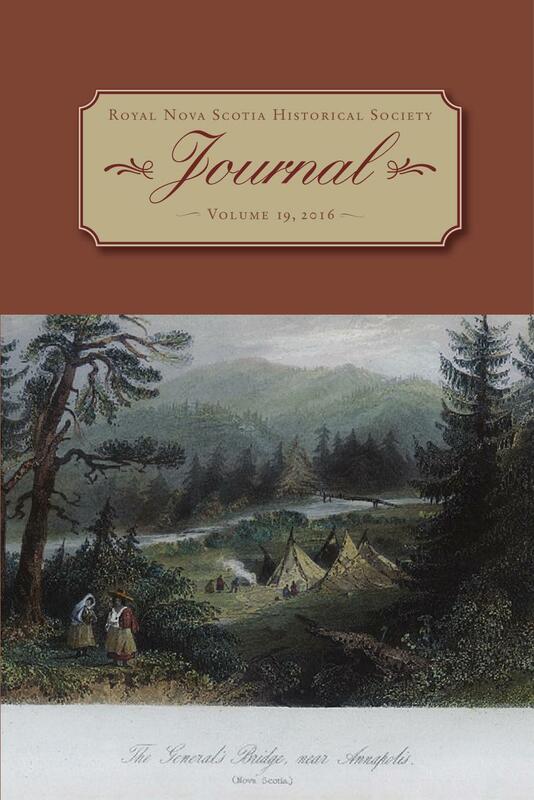 This paper describes the life of the talented Halifax–born artist, Ellen Martyr Robinson and her depictions of the landscape of Nova Scotia during the middle years of the 19th Century. Examples of Robinson’s work are held by the Canadian and Nova Scotia Archives but the sketchbook noted in this paper is hitherto unrecorded.